A world of ultimate indulgence, luxury and pampering awaits you at the exquisite 5-star Secrets Puerto Los Cabos Golf and Spa Resort. Sitting on the sun-soaked southern tip of Mexico’s Baja California peninsula, this secluded adults-only retreat provides you with every amenity you could wish for, along with sumptuous accommodation, a variety of dining options and the incredible Unlimited-Luxury all-inclusive package. Whether you’re seeking relaxation, romance or tropical adventures and excitement, the stunning Secrets Puerto Los Cabos Golf and Spa Resort is sure to exceed all your holiday expectations. 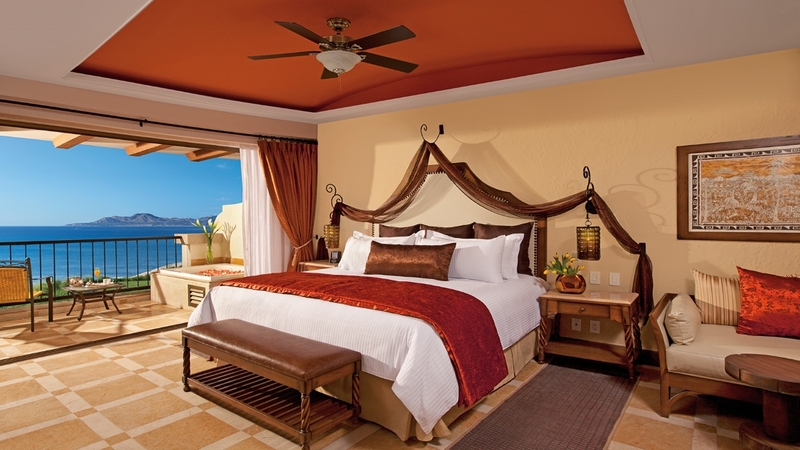 The Secrets Puerto Los Cabos Golf and Spa Resort is located next to the beach. A variety of activities and tours can be found within a short drive of Secrets Puerto Los Cabos Golf and Spa Resort. Los Cabos International Airport is approximately 19km away from Secrets Puerto Los Cabos Golf and Spa Resort.